In this 20th century we have also come up with a smart way for cooking. Today the most important thing in your kitchen,Canteen,Office is a microwave oven.Without this it is not possible to get a hot cake,a cup of tea or coffee and even a fresh cake within minutes. Microwave oven was invented by Percy Spencer after the second world war.It was just an accident,just like most of the inventions. 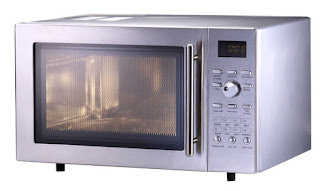 As the name indicates it uses microwave frequency for its operation of about 2.45 GHz.These waves have some important properties that makes them important for an oven.Microwaves of about 2.45 GHz are absorbed by water,fats,sugar & microwaves are not absorbed by most of the plastics,glass or ceramics.Metals pans don't work well in microwave ovens because microwaves get reflected by metals & that is why microwaves devices have metal walls. a).Magnetron ---- is a vacuum tube that generates microwave energy from the power supply it receives.The amount of wave generation may be different according to type of oven and its power rating. b).Waveguide ---- we can say that it is path for microwaves to reach upto the metal case from the magnetron where these are generated.A waveguide provides a lossless transmission of waves upto metal case. c).Stirrer Fan ---- At the end of waveguide,a stirrer fan is installed which helps to distribute microwaves uniformly in every corner of oven. If you know that when we touch a hot object,the heat we observe is actually due to kinetic energy of molecules of object.Faster the molecules will move,hotter it will be.Let we put a samosa in oven,the microwaves will be absorbed by it & microwave changes its electric and magnetic field about 2450000000 times per second ( a microwave is an electromagnetic wave & e.m. wave are basically electric and magnetic field oscillating perpendicularly to one another ).This change of field will force the molecules of samosa to vibrate back & forth at same rate and the kinetic energy of molecules will generate heat in samosa. Note : Final Year Students : Candidates appearing for their Final Semester Examination and expecting their final results by 31st July, 2015 can also apply subject to passing the qualifying degree with 60% marks (average of all semesters) at the time of interview. Candidates failing to produce the Provisional Certificate and Mark Sheets in original at the time of interview shall not be considered. Application Fee : An application fee of Rs.500/- (plus applicable bank charges) is to be remitted through the Payment Gateway which is available after completing the ONLINE application form. Application fee once remitted will not be refunded under any circumstances. Candidates belonging to SC/ST/ PwD candidates are exempted from payment of application fee. 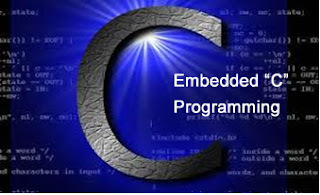 In our daily life we come across numerous electronic circuits which are build up using various electronic components.Here is is brief overview about the functions of some of the basic components. 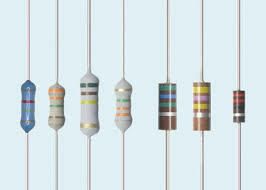 Resistor is one of the most basic components used in electronic circuits. It is a passive devices and used to resist the flow of flow of current.It is measured in units called ohms and is represented by the symbol Ω.Resistance value is marked on the resistor body. 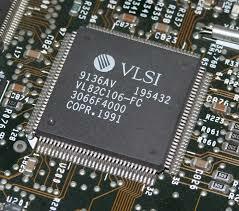 It is a passive device used for temporarily storing an electric charge. 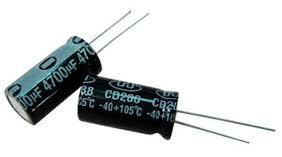 There are different varieties of capacitors , the two most common ones are ceramic disk and electrolytic. 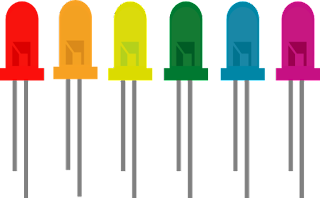 The amount of capacitance of a given capacitor is measured in microfarads, abbreviated μF. 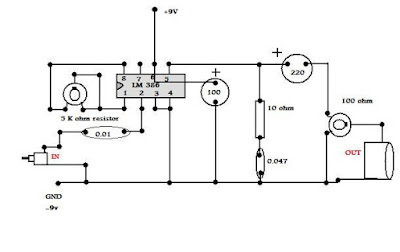 A diode is a two terminal device that allows the flow of current in only one direction. the two terminals are called as anode and cathode. 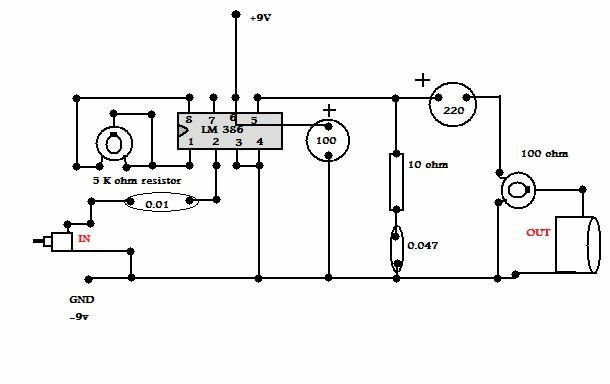 Current will flow through the diode only when positive voltage is applied to the anode and negative voltage to the cathode. If these voltages are reversed, current will not flow. 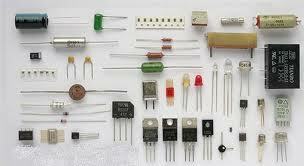 A light-emitting diode or LED is also a diode .This type of diode emits light when current passes through it. 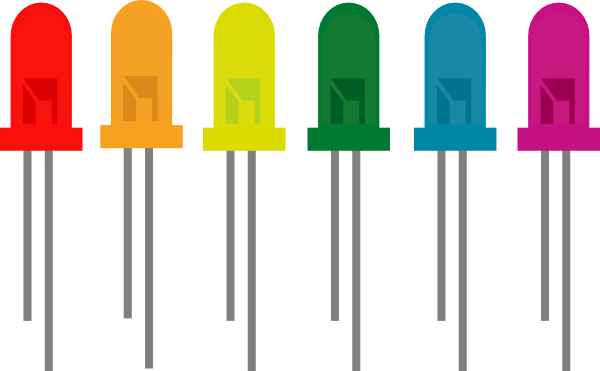 The transistor is one of the most important devices in electronics.It is a three-terminal device in which a voltage applied to one of the terminals called as base, can control current that flows across the other two terminals called as collector and emitter.there are two types of transistors, PNP and NPN transistor. 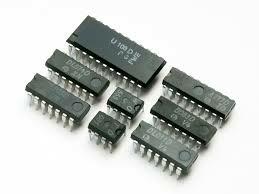 Integrated circuits or IC's are the building blocks of all the modern electronic devices such as computers and cellphones. It is a special component that contains an entire electronic circuit, complete with transistors, diodes, and other elements, all photographically etched onto a tiny piece of silicon. Indian Institute of Astrophysics (IIA) is recruiting Electronics engineers as Engineer Trainee at Bangalore. Qualification : B.E / B.Tech in Electronics or equivalent with a minimum of 60% marks from a recognized University/Institution, having knowledge of electronic control systems, embedded systems, sensors and power electronics. Last date to Apply : 22nd June, 2015.